Here’s a fun exercise: Dig deep into your memory and ask yourself how many apps you downloaded last month. If your answer’s more than zero, you’re in the minority. So we rated it against responsive web design instead. Apps are all the rage these days, and that’s rarely more obvious than when we talk to our clients about their digital needs. But the fact is: apps are kind of like kale. Everybody will tell you kale’s amazing for you. They’ll extol its benefits in exhaustive and convincing detail. But when you rush to Whole Foods, buy a few bushels, and cook them up — all you get is a bitter mouthful of plant matter vaguely reminiscent of burying your face in garden mulch. And that’s when you realize: kale may be amazing, but it just isn’t for you. And something in your gut tells you that apps, like most supposed holy grails, may be more of a snipe. Many business owners don’t have that instinct. They want to ride the wave — even though they don’t fully understand it. They see apps as a golden ticket for staying ahead in a marketplace inhabited by tech-obsessed, millennial, digital natives. What they don’t know is that most of those digital natives download zero apps per month. More on that later. So what is an app, anyway? The operative word phrase here is to fulfill a particular purpose. An app lives or dies by its purpose. You could say the same of a website, but in general, a website exists to fulfill a different purpose. An app needs to achieve a purpose that a website cannot achieve. And there are really only two scenarios when an app can do that. There are two major criteria that justify investing in an app. You need to meet at least one for the app to have any level of relevance or desirability, and they both hinge on purpose. Take Pepsi, for example. 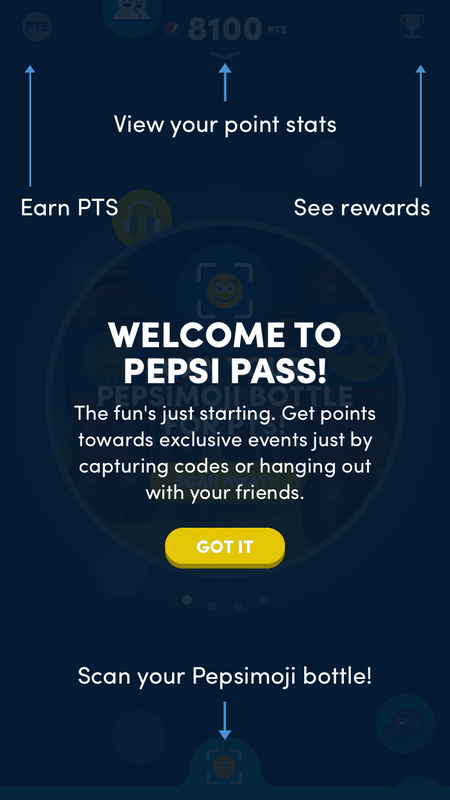 They have an app called Pepsi Pass that lets people “access exclusive rewards” when they buy Pepsi products. The app serves a purpose: that of rewarding customers for buying the company’s product (i.e., expressing brand loyalty). It works because people care enough about Pepsi enough to want such rewards. The app is also not a mobile version of the website. The first cardinal sin of app development is creating an app that mostly just duplicates the company website in app form. What’s the point? Remember how we said that apps and websites serve different purposes? This is a case in point: If people want to learn about Pepsi, they’ll find Pepsi’s website in their mobile browser, not download an app. It’s all about stages in a process — someone who’s just discovering a brand doesn’t want their app. They want to learn about the brand first, then, maybe, they’ll decide they care enough to get the app. ‍Pepsi Pass clearly has different functionality than the website. Snapchat’s key function (sending and receiving disappearing photos and videos) only works on their app. An app is the ideal platform for Snapchat because the app is quite literally their entire business. It makes sense as a mobile app because it takes advantage of core features of a phone: a camera with video capabilities, plus quick and easy access. This is perhaps the best example of how app-centered companies can be successful. The app not only has a purpose, it is the purpose of the business. Have you ever been to Snapchat’s website? Me neither. It serves its own purpose: to get people to download the app. Okay, sure — but only if your idea fits one or (ideally) both of the criteria above. ‍Left: Top apps by usage. 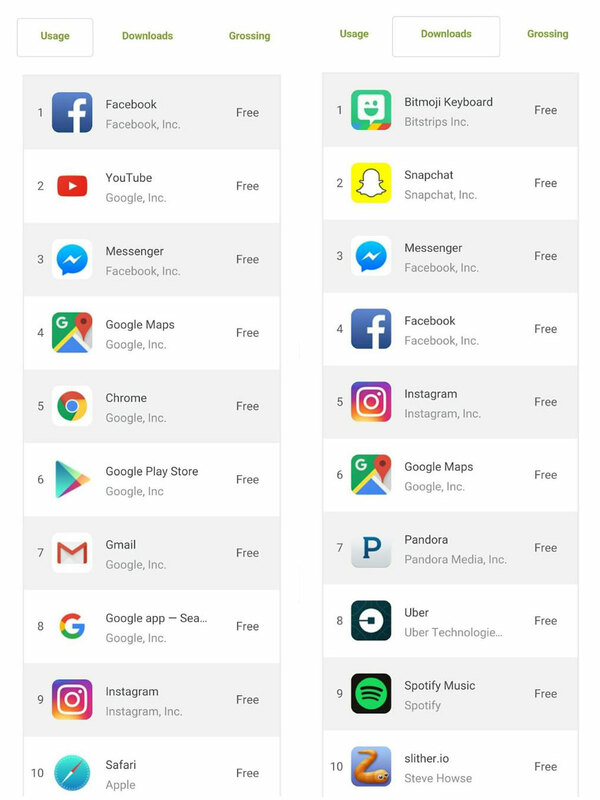 Right: Top apps by downloads. Notice the differences? These aren’t just mobile versions of websites. If your client thinks their app has the opportunity to break into the top 6-10 apps for the average user, then maybe it has a ton of potential. If not, invest in responsive web design instead. Okay, so maybe nobody is an exaggeration, but not by much. 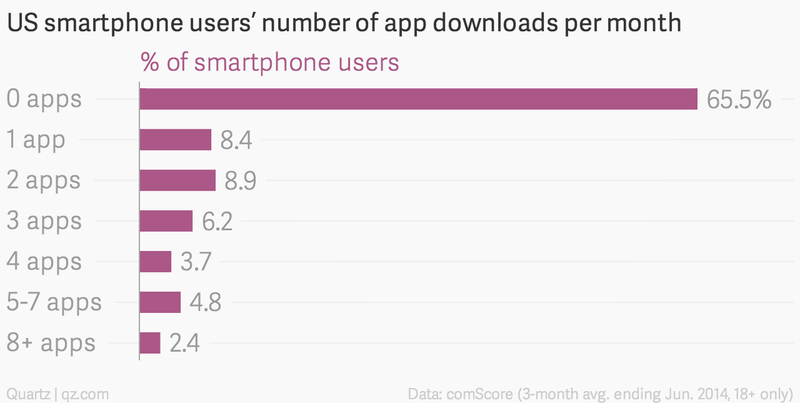 In fact, most smartphone users download 0 apps per month. Y u no download apps, everybody?! How is that possible? Well, as the top app charts above show, people are pretty taken care of when it comes to apps they need. For a new app to crack the top charts and see daily use, they’ll need to invent/discover new needs that aren’t already met (like Snapchat did). And even if people do go so far as to download your app, it’s very unlikely that they’ll keep using it. The average retention rate for an iOS app 30 days after download is 3.2%. That means that only 3.2% of the people who downloaded your app will still even have it on their phone just 30 days later. I don’t like those odds. The average high-quality mobile app costs about as much to build as a Lamborghini Gallardo. I’ll leave it up to your clients to decide if they’d like spend that much to build a beautiful sports car no one will ever drive. Here’s a handy tool for calculating the average cost of a website based on specific needs. Here’s the same tool for calculating the cost of an app development project. Next time your client asks you for a mobile app that doesn’t meet the requirements of brand recognition and must-have functionality, run them through those calculators. Then remind them of that 3.2% retention rate. The top 1% of monetized apps generate 94% of the App Store’s revenue. I won’t belabor this point, but it only reinforces what we have already outlined: Apps need to have a strong purpose and a key functionality to be worthwhile and widely embraced. TL;DR: It’s really what your client was asking for the whole time. The other day, I decided I needed a haircut. But I wanted to switch things up and look for a new barber shop, because the one I normally go to is overpriced. 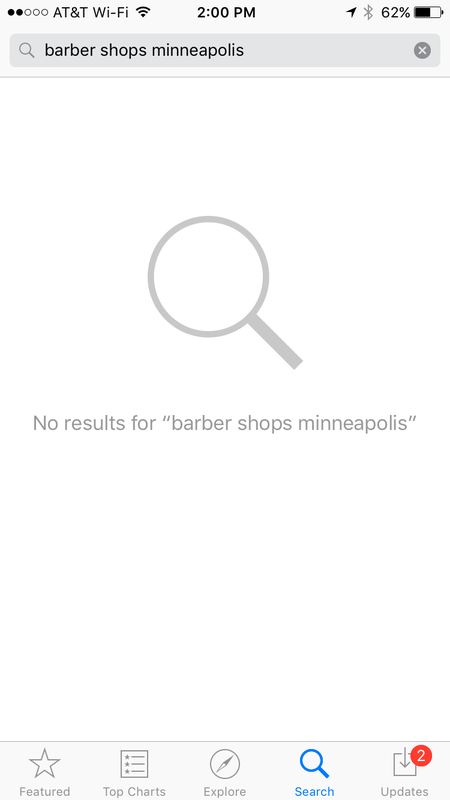 So I opened up the App Store on my iPhone, typed in “Barber shops Minneapolis” and got a great list of shops near me. I ended up having a great experience and will definitely go back. Just kidding. That would never happen. Hmm. 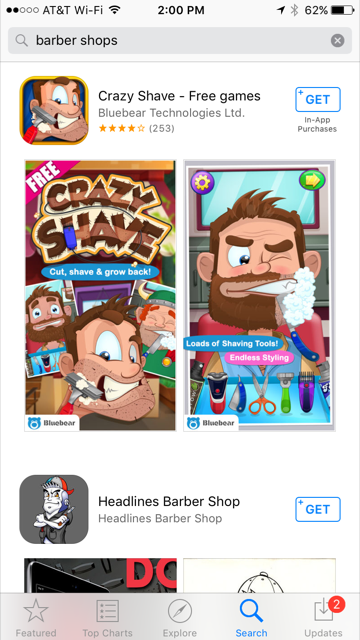 Perhaps the App Store is not a good place to find barbers?! Possibly fun, but unlikely to cut my hair for me. Crazy Shave does sound pretty crazy and all, but I haven’t made a ton of progress in finding a new place to get a haircut. This may be obvious to a digital marketer, but it may not be so to the general public. The App Store is simply not a search engine for service providers. People looking for new apps go to the App Store. People looking for a new barber will consult Google. Limiting a company’s mobile exposure to an app can have disastrous effects on the company’s visibility online. Sure, as of Mobilegeddon, Google actually does index some app content, but wouldn’t a high-quality, responsive web design that provides the same level of user experience on all devices and gets all of its content indexed be better? Skipping a responsive web design in favor of an app sacrifices crucial tools that help ensure a company gets found online. We also have many other available solutions like, graphic design should you require a logo for you new website and website hosting to hot your brand new site. Apps are great, and they will continue to drive revenue for the companies whose core functionality revolves around them. For the rest of us, they’re irrelevant to the success of our business. Consumers have clearly shown that they’re just not very adventurous when it comes to downloading things on their phone. And they’re even less adventurous when it comes to using or keeping what they downloaded. A good app serves a specific purpose, offers key functionality, and is usually attached to a recognizable brand. Responsive web design is the only way to provide your clients with a high-quality user experience across all devices and is much more effective than apps when it comes to getting found. So stop pretending you like kale already. You’re not fooling anyone. Here is some more great reads about websites: Website for your business? 9 Reasons why you should have one, 7 Reasons You Need a Small Business Website, Website design company in South Africa – 10 Things to look for. © 2017 Digital Puppy. All rights reserved. Here at Digital Puppy our affordable website design solutions are our forte. Every one of our websites is unique – because every one of our clients is unique. We design our websites in close collaboration with our client in order to create a user friendly interface for your brand. Our websites can be expanded upon according to the growth of your company and we offer a myriad of extensions on the foundation website packages. These include cataloguing systems, e-commerce functionality (shopping carts, debit/credit card facilities), client management, online communications, SMS messaging and banner advertisement applications. And if it doesn’t exist, we will create that specific module for you.